Naby Keita is "motivated" to be a success at Liverpool but called for patience as he adapts to the demands of playing in the Premier League. Reds boss Jurgen Klopp spent £52.75million of his summer transfer budget to bring the 23-year-old into his Anfield squad from German Bundesliga outfit RB Leipzig. I've been told by many people that a lot of overseas players come into the Premier League and they take time to integrate, depending on the circumstances. The Guinea international midfielder has featured in all of Liverpool's opening four Premier League matches, but started the recent win at Leicester on the substitutes' bench. It has been a dream start for the Merseysiders as they sit at the top of the Premier League with a 100 per cent record, but Keita claims it will take time before the Reds' fans see the best of him. He told Liverpool's club magazine: "I've been told by many people that a lot of overseas players come into the Premier League and they take time to integrate, depending on the circumstances. "So playing in the Premier League can be difficult, but I am very motivated to play here, not just for myself and my team-mates, but for the club. 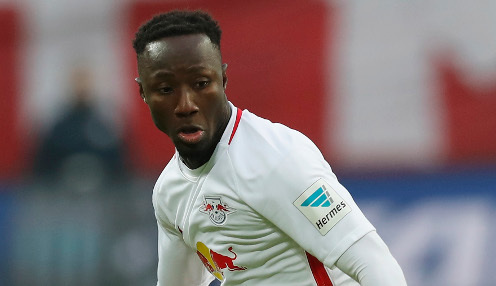 Keita added: "The Premier League is different to other leagues where I have played and everybody knows it is very tough, but I will do my best to beat my own personal records - I'm very motivated." Keita will hope to be involved on Saturday when Liverpool travel to face Tottenham at Wembley as the Premier League returns. The Reds, who are 11/8 to win the Premier League this season, are 11/8 to make it five wins on the spin, while Spurs are priced at 21/10 to win and the draw is 13/5.